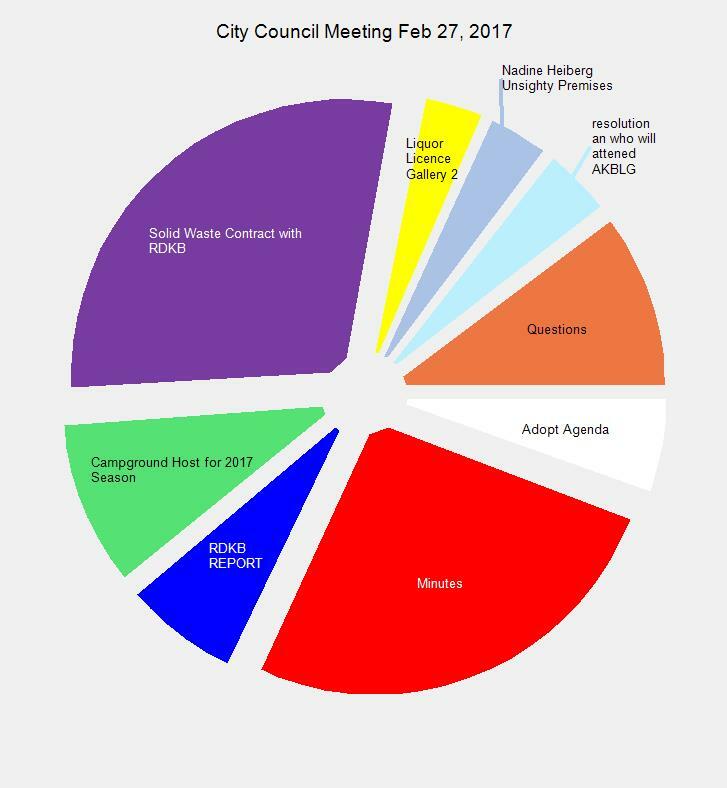 City Council held it’s last meeting of February on the 27th. The slices in the pie chart are actually buttons. Click on one and a new window opens. In that window you will be able to watch the meeting starting from the point where that topic begins. At the end (of this post) you will see the meeting – you can watch it from the beginning here. Or skip to where ever you want of course – most people find the pie slice buttons an easier place to start. This entry was posted in City, government and tagged AKBLG, city, council, Minutes on February 28, 2017 by gftvboss. 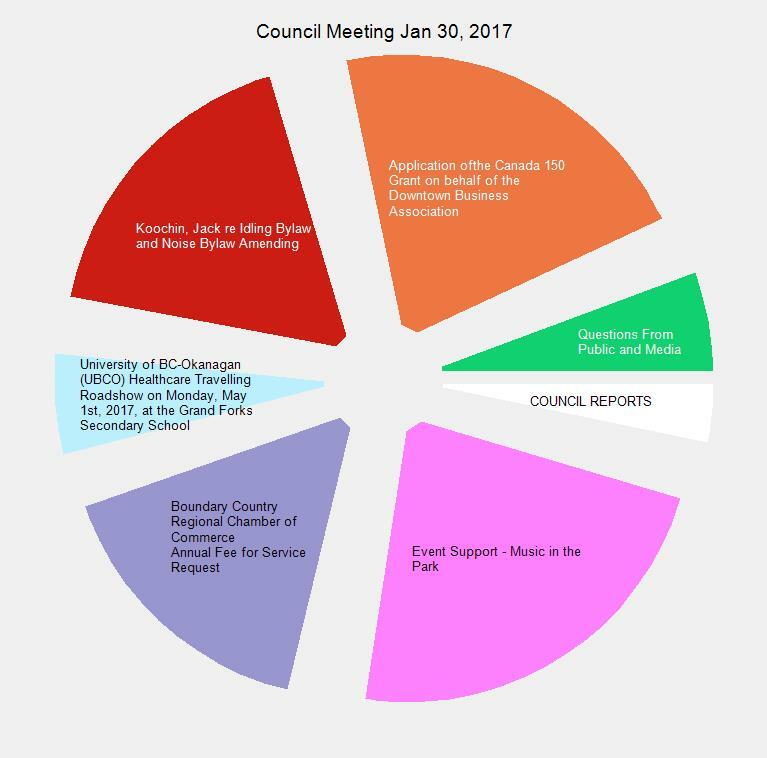 The first council meeting of the new year. 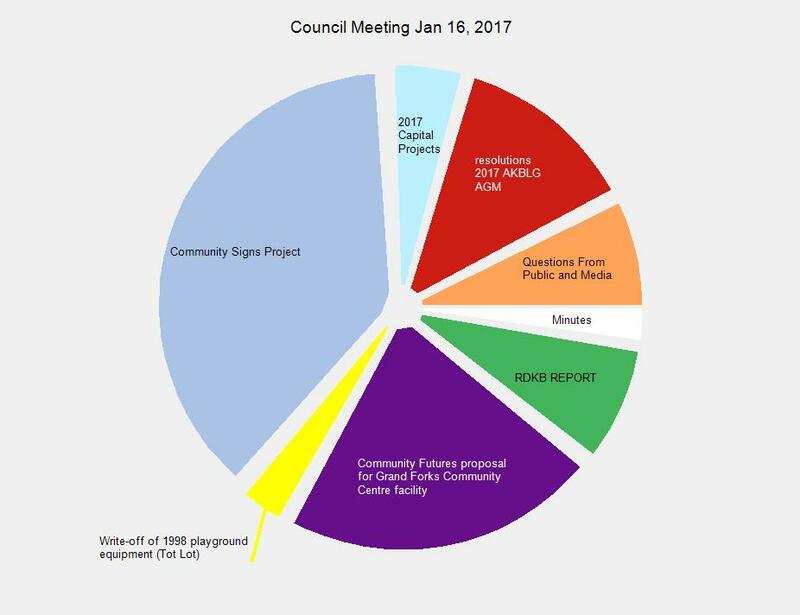 This meeting saw the resurrection of a topic dear to the desires of many long time residents of Grand Forks – a Community Centre. This time it’s Community Futures and Area D who are bringing it back to our attention. Another topic, the one occupying the largest chunk of the meeting, was the signage being contemplated for informing the visitor traffic what we have to offer and where to find it. The slices in the pie chart graphic are buttons. Click on one and a new window will open with the meeting at that point. OR you can watch the meeting in its entirety below. 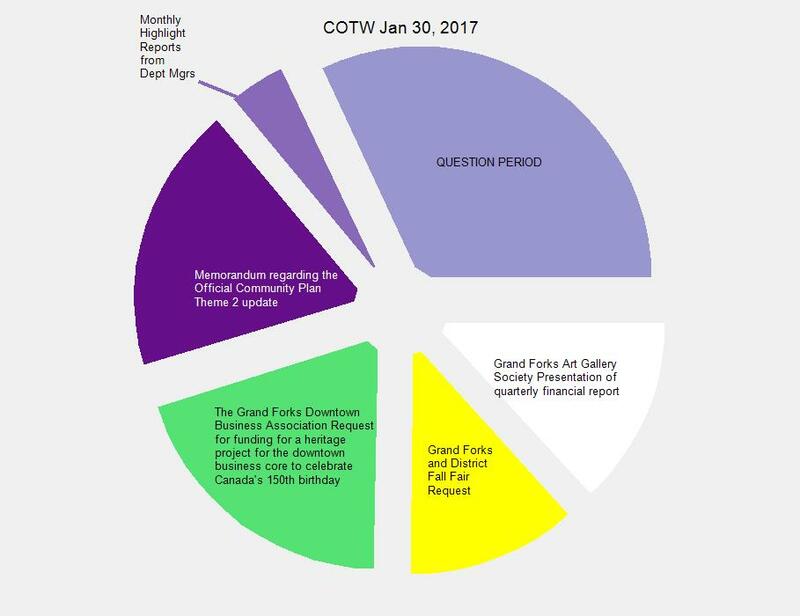 This entry was posted in City and tagged centre, city, Community, council, sign on January 17, 2017 by gftvboss.